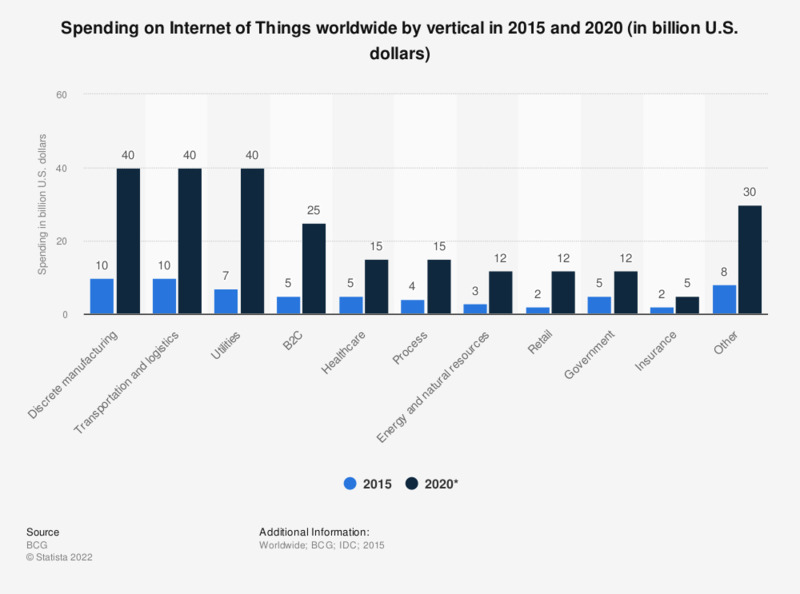 Industrial Internet of Things (IIoT) is a rapidly progressing sector accounting for the maximum share in the global IoT spending. According to IDC and SAP, in 2017, 60 percent of global manufacturers will use analytics data tracked using connected devices to analyze processes and identify optimization possibilities. Manufacturers and industrialists in every sector have a significant opportunity at hand where they can not only monitor but also automate many of complex process involved in manufacturing. While there have been systems which can track progress in the plant but the industrial IoT (IIoT) technology provides far more intricate details to the managers. According to a research by Business Insider, global manufacturers will invest $70 billion in IoT solutions in 2020. That's up from $29 billion from 2015. At NewGenApps, we communicated with manufacturers across the globe and researched through some of the top research papers to accumulate the top 8 uses of IoT in manufacturing. The aim of this article is to educate executives in the manufacturing industry about the possible uses cases of Industrial IoT and ways of leveraging it. We have comprehensive guide covering the major technologies, innovations and ideas in the field of Industrial IoT. Download Now. Feel free to share this image. Just Give us a mention. Image Credits: Microsoft Slideshare Presentation (Slide no. 5) by Marlon Luz. IoT enabled machinery can transmit operational information to the partners like original equipment manufacturers and to field engineers. This will enable operation managers and factory heads to remotely manage the factory units and take advantage of process automation and optimization. Along with this, a digitally connected unit will establish a better line of commands and help identify key result areas (KRAs) for managers. The use of IoT sensors in manufacturing equipment enables condition-based maintenance alerts. There are many critical machine tools that are designed to function within certain temperature and vibration ranges. IoT Sensors can actively monitor machines and send an alert when the equipment deviates from its prescribed parameters. By ensuring the prescribed working environment for machinery, manufacturers can conserve energy, reduce costs, eliminate machine downtime and increase operational efficiency. IoT combined big data analysis can improve the overall workers’ safety and security in the plant. By monitoring the Key Performance Indicators (KPIs) of health and safety, like the number of injuries and illness rates, near-misses, short- and long-term absences, vehicle incidents and property damage or loss during daily operations. Thus, effective monitoring ensures better safety. Lagging indicators, if any, can be addressed thus ensuring proper redressal health, safety, and environment (HSE) issues. IoT sensors collect aggregate product data and other third-party syndicated data from various stages of a product cycle. This data relates to the composition of raw materials used, temperature and working environment, wastes, the impact of transportation etc. on the final products. Moreover, if used in the final product, the IoT device can provide data about the customer sentiments on using the product. All of these inputs can later be analyzed to identify and correct quality issues. Read More: How IoT and Artificial Intelligence can Improve Customer Satisfaction? By using IoT sensors in products and/or packaging, manufacturers can gain insights into the usage patterns and handling of product from multiple customers. Smart tracking mechanisms can also trace product deterioration during transit and impact of weather, road and other environment variables on the product. This will offer insights that can be used to re-engineer products and packaging for better performance in both customer experience and cost of packaging. Read More: How IoT is Moving Supply Chain Forward? The Industrial IoT (IIoT) can provide access to real-time supply chain information by tracking materials, equipment, and products as they move through the supply chain. Effective reporting enables manufacturers to collect and feed delivery information into ERP, PLM and other systems. By connecting plants to suppliers, all the parties concerned with the supply chain can trace interdependencies, material flow and manufacturing cycle times. This data will help manufacturers predict issues, reduces inventory and potentially reduces capital requirements.